Two South Carolina lawmakers want to erect a monument on the State House grounds to African-Americans who served the state as Confederate soldiers. But records show the state never accepted nor recognized armed African-American soldiers during the Civil War. Confederate law prohibited blacks from bearing arms in the war, records show, until that edict was repealed in 1865 at the very end of the conflict. That repeal resulted in a handful of African-American units in states such as Virginia and Texas. But there were none in South Carolina, which prohibited African-Americans from carrying guns in the state’s service throughout the war for fear of insurrection, according to the archives. Legislation prefiled by state Reps. Bill Chumley, R-Spartanburg, and Mike Burns, R-Greenville, on Dec. 13 would create a commission to establish a monument honoring black Confederate veterans. Both lawmakers voted against removing the Confederate flag from the State House grounds in 2015. The flag was removed about a month after self-professed white supremacist Dylann Roof massacred nine parishioners at Emanuel AME Church in Charleston on the evening of June 17, 2015. 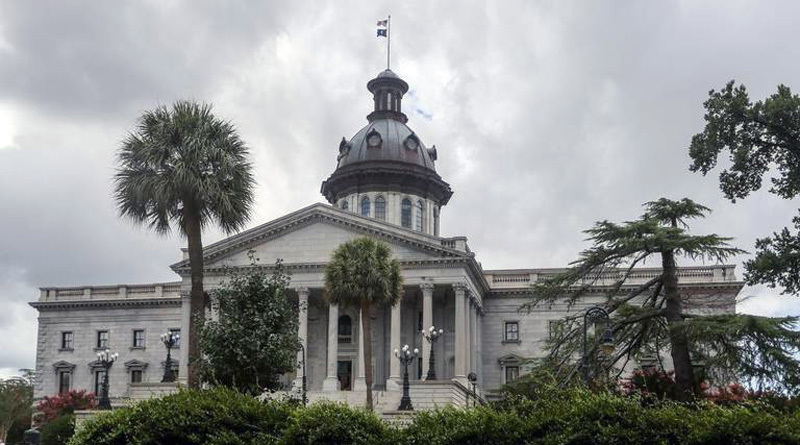 “While there is representation of those African-Americans from South Carolina who took up arms for the Union, there is nothing to show the contributions, sacrifices and honor of their Confederate counterparts,” the bill states. Contacted by The State newspaper, Chumley on Friday clarified that the monument would honor the service of all blacks who served the Confederacy in any capacity. A companion bill also filed by Chumley and Burns would form a commission to catalog the contributions of black South Carolinians to the Confederacy and include their service in public school curriculum. But Edgar, who also hosts “Walter Edgar’s Journal” on South Carolina Educational Radio, said those workers were either slaves or free blacks pressed into duty as unpaid labor. “They were all enslaved,” he said. ▪ Tom Bing of Hampton listed himself as a “private soldier” in “Colcock’s Regiment” under Capt. Bill Peebles. ▪ Tom Arch of Spartanburg described himself as a private in Co. B, 1st S.C. Cavalry. ▪ John McKinley of Charleston claimed he was a private and “Charleston rifleman” in the 14th regiment. Their pensions were approved, records show, but they only qualified under the law as cooks or body servants. No confirmation of their armed service has been found, according to archive historians. But the concept of Confederate service is murky, said Joe Long, curator of education for the S.C. Confederate Relic Room and Military Museum. In addition to cooks, body servants or laborers, blacks also served as buglers, musicians, stretcher bearers and in other support roles that could be interpreted as military service. In his book “Black Charlestonians: A Social History, 1822-1885,” historian Bernard Powers noted that even free, mixed-race South Carolinians were denied armed military service. In addition to denying them service, S.C. state law allowed military commanders to require “all male free negroes, moors, mulattoes and mestizoes, between the age of eighteen and forty five years” to labor on behalf of the state without pay. The free labor was limited to 10 days a year. If a free black or mixed-race man refused, he could be fined $2.50 a day for each day he did not work, the records show. Those laws show a complete rejection of armed military service for blacks and mixed race residents, regardless of their willingness to serve, Edgar said. “So much for freedom,” he said.